On “Not Afraid To Fall,” IYVES is proudly sovereign, fully unleashing her inhibitions and embracing the unknown. Reclaiming autonomy — and, importantly, realizing that it’s necessary to do so — is a major step in leaving behind an unhealthy past. It can be difficult to find the proper words to say, actions to take, or even emotions to feel, but it is nonetheless a pivotal moment in idiosyncrasy. And now, after a nearly 3-year hiatus, electro-pop goddess IYVES is here to tell you that it’s okay to take that leap into the unknown. Her newest single, “Not Afraid To Fall,” which Atwood Magazine is proudly premiering today, triumphs in its proclamation of jump first, fear later. IYVES, a Brooklyn-based artist, exploded onto the music scene back in 2015, nabbing impressive features in publications like Noisey and The FADER, thanks heavily to her ability to create insatiably dreamy, emotionally-driven pop songs. Her last single, “Let rhe Water Run,” is a haunting pop gem a la Lykke Li, indelibly securing her as an artist not to be ignored. Then, for nearly three years, there was radio silence; now, she’s boldly returning, more striking than ever, to reinforce her prominence. “Not Afraid to Fall” is an electrifying, grandiose effort that grasps onto its listener from the first hook. IYVES saturates the song with her siren-like vocals, entrancing us with astute assuredness; her confidence is infectious. Throughout the three-and-a-half minute track, we are unwaveringly locked in, and one can’t help but feel empowered by it. This, too, is a particularly important facet to IYVES herself. Forging one’s own path is a difficult and often terrifying change, especially if it had once consumed one’s whole world, but the payoff is almost always worthwhile. When separating from the past, the promise of an even brighter future shines brightly at the end of the tunnel; jumping off the edge can lead to bigger and better things. Or, at least, you don’t know until you try. Not only does the track symbolize the dissolve of a failed relationship, but “Not Afraid To Fall” also feels fittingly apropos for IYVES to reintroduce herself to the music world, too, as she dives headfirst into a new and exciting creative venture. 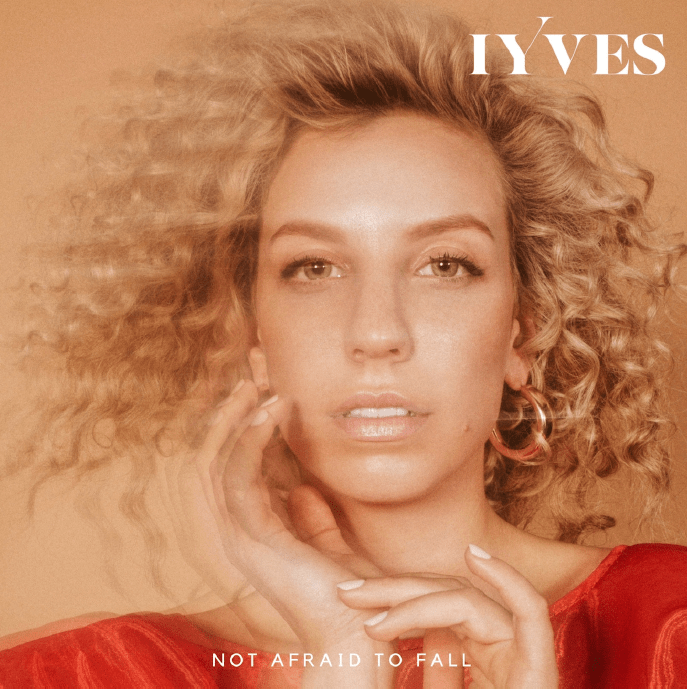 Despite this lengthy hiatus, IYVES is nonetheless steadfastly proving her worth, and “Not Afraid To Fall” epitomizes the importance of doing this. The song not only seeks conviction for the listener, but for IYVES herself as well. It provides staunch independence not only in a ubiquitous, relational sense, but also in a deeply personal one for IYVES. On “Not Afraid To Fall,” IYVES is proudly sovereign, fully unleashing her inhibitions and embracing the unknown. Listen to “Not Afraid To Fall” by IYVES right now, exclusively on Atwood Magazine!